While most contributions to this year’s Architecture Biennale report from remote fronts, the brilliant Portuguese entry searches for the problems on any Venetian doorstep, or rather on Giudecca, the southernmost of the cities isles. It hardly takes five minutes by vaporetto from St. Marks Square, and yet here life seems infinitely removed from the hustle and bustle of tourist Venice. Along the Canale della Giudecca there is the one or other restaurant, but if you turn into one of the alleys leading off this two-kilometer-long and 300m-wide set of islands, then you find yourself in a very quiet residential district, defined by sturdy blocks of houses bereft of ostentatious frills. Two blocks inland on the narrow island is Campo di Marte. Here, back in 1985 architecture history was written, not that many people remember this today: Because it was here that in 1983 Álvaro Siza and Aldo Rossi first teamed up on a construction project. 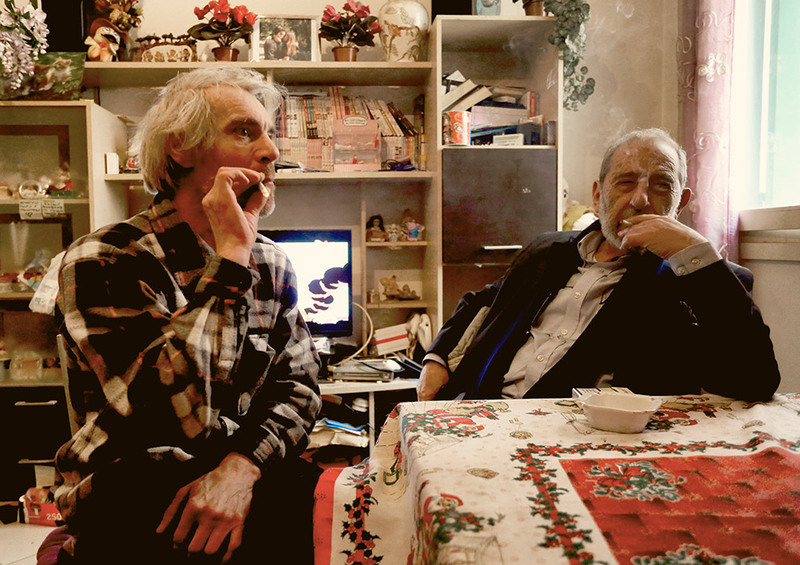 Both had exhibited work in 1976 at the Venice -Biennale, in fact in halls directly adjacent to each other: While Rossi (together with Bruno Reichlin, Fabio Reinhart and others) presented collages of the Analog City, Siza brought along some of his subsidized housing projects in Portugal at the time. We can surmise that it was this presentation that led in 1983 to his being invited by the Venetian housing construction association to enter the competition to redesign the Campo di Marte. 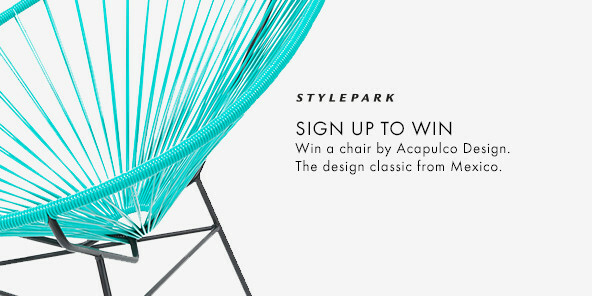 Just how distinguished the competition was can be seen today from the roster of names of the architects invited to take part: Alongside Siza and Rossi, they included Rafael Moneo, Mario Botta, Boris Podrecca and Aldo van Eyck. In the end, Siza won with a plan that hinged on simple, easily realized housing blocks, positioned and aligned in terms of the existing built structures of the surrounding blocks. Moreover, some of the typical elements of Giudecca were integrated into the new buildings: colonnades, loggias, open alleys and smaller plazas between the houses. In many respects, the estate resembled a modernized continuation of the historical edifices. Above all, Siza’s plan also centered on involving other architects from the competition in elaborating the details of some of the houses around the core section he defined. The new Campo di Marte was from the outset meant to reflect diversity and function like a cameo architecture show. 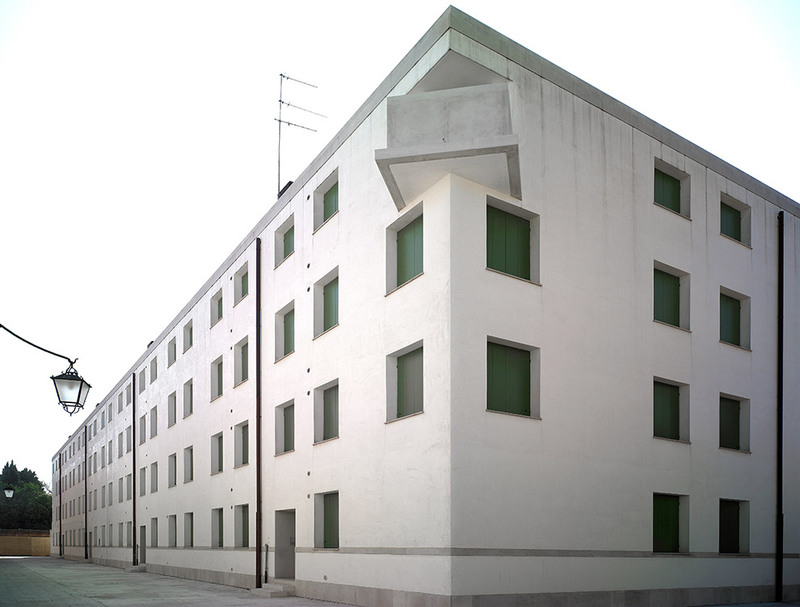 Thus Rafael Moneo, Carlo Aymonino and specifically Aldo Rossi were commissioned to design additional houses. However, the entire realization progressed very sluggishly, such that from 1986 to 2010 (or 24 year!) 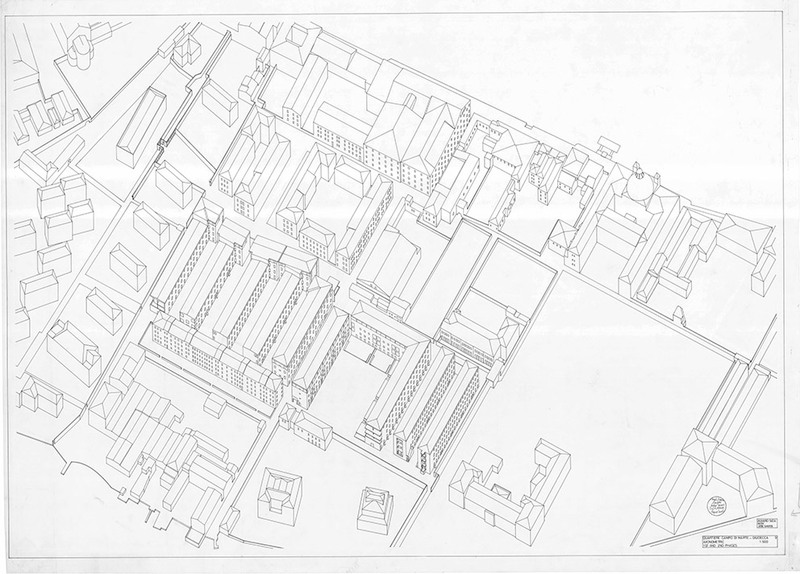 passed before even part of the houses and a section of Siza’s proposal for the heart of the new estate were complete. Only now has the project been resumed, driven by a new house-building company. 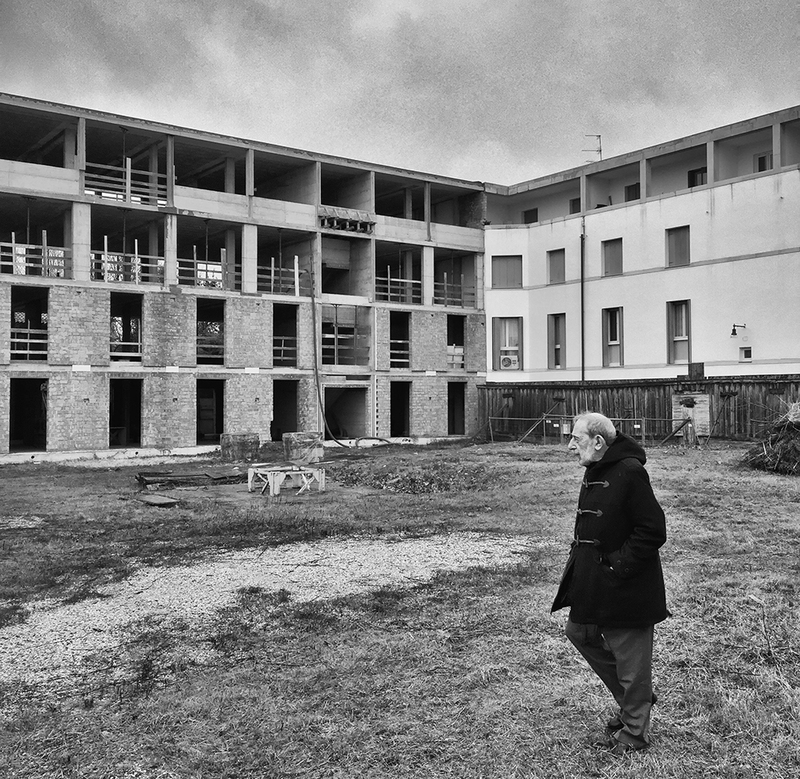 The part of Siza’s project omitted is now already under construction and the houses by Moneo are set to follow. And thus curator Nuno Grande together with architect Roberto Cremascoli came up with the marvelous idea of installing the Portuguese contribution to the Biennale, entitled “Neighbourhood. Where Álvaro Meets Aldo” in the carcass of the new housing development. 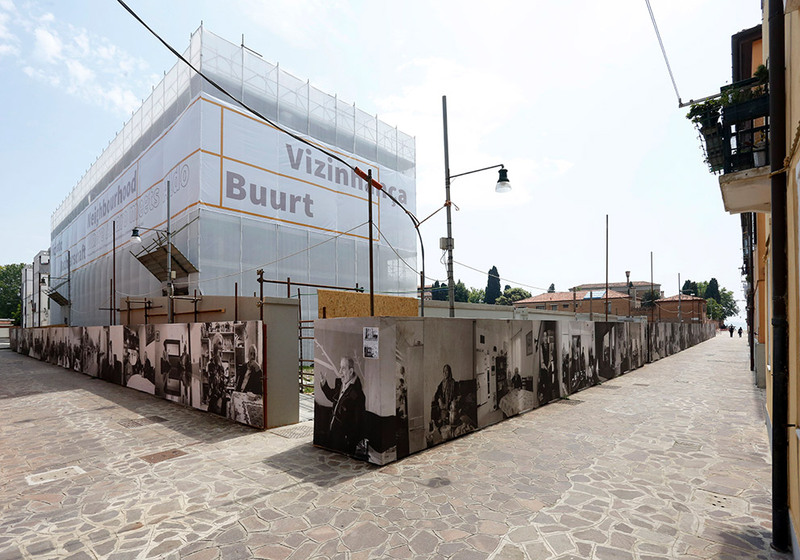 Alongside the Giudecca project, three others of Siza’s subsidized public housing projects are on display: the Bairro da Bouca in Porto (1973), Schilderswijk in The Hague (1984) and “Bonjour Tristesse” in Berlin (1980). The construction site fence round the building shell is festooned with large photos of inhabitants in these housing complexes, and visitors can slip through the fence at two points and enter the ground floor, with its bare concrete walls and cable ducts. Construction site spotlights and naked lamps create illumination that may fit the atmosphere of the exhibition, but is at times somewhat difficult for that purpose. 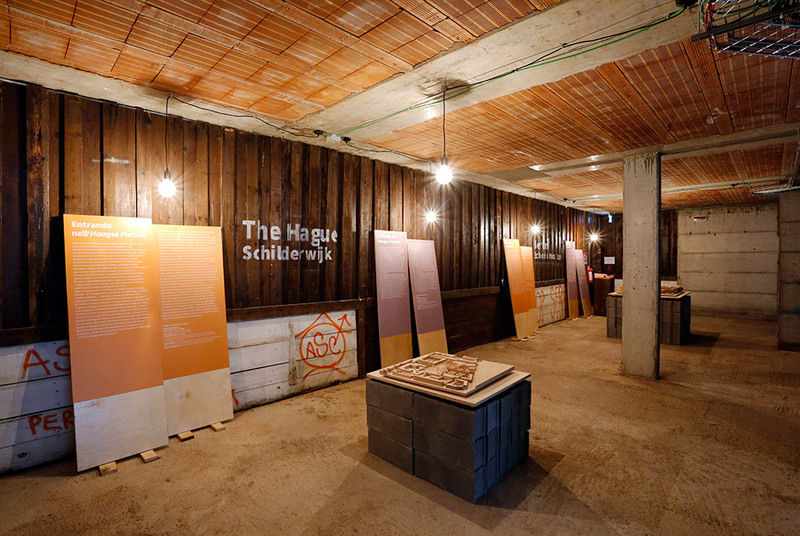 The panels with text all simply lean against walls, and the fine models are presented on stacks of materials consisting of breeze blocks or prefab concrete sections. The key element in the exhibition is actually the marvelous films that are projected across the entire length of the building – onto the naked walls. 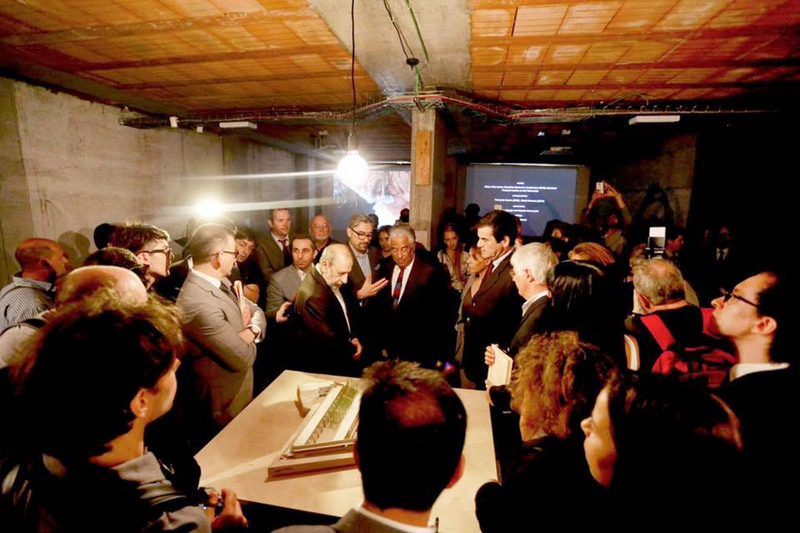 To prepare the show, a team traveled together with Álvaro Siza to visit all the projects and their inhabitants. 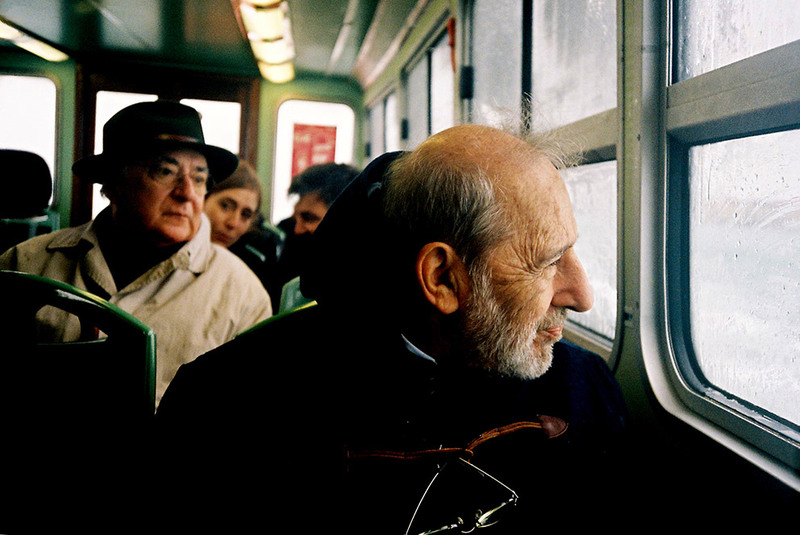 Now we find ourselves looking through a somewhat unsteady hand-held camera, usually over Álvaro Siza’s shoulder, while people guide him round their apartments and tell him about their lives. In fact, it is usually the inhabitants who speak, while Siza remains silent, watches, smokes and listens. 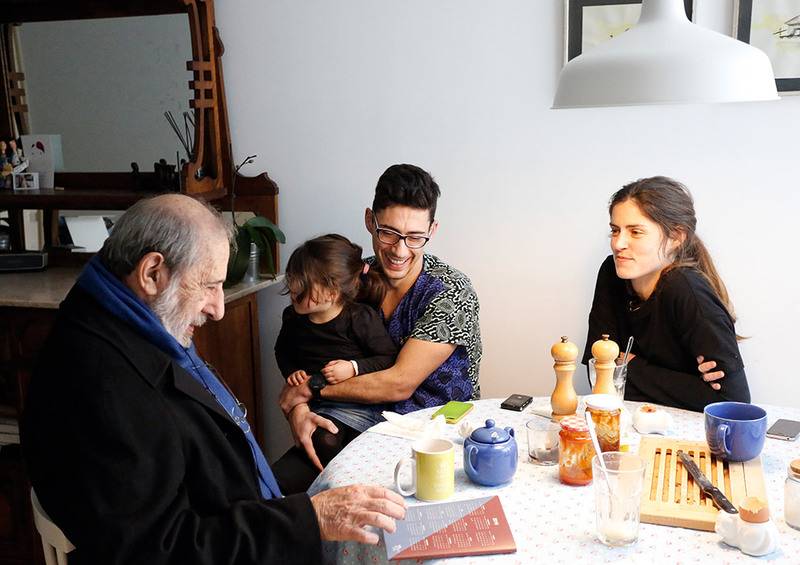 It’s often little things that get mentioned, such as when a woman complains about the walls being too thin and Siza responds in his deep resonant voice that he would have loved to have had thicker walls, but the budget simply didn’t allow it. In Porto he is greeted in terms commensurate with his status: Would you like a glass of port, Mr. Architect? Taken together, the films and exhibition document the work of a very modest architect who in this instance does not get placed on a podium and revered, but whom we instead get to know as a real listener and sensitive inventor of complex worlds, completely dedicated to advancing the places he focuses on, be they in Berlin, The Hague, Porto or here in Venice. Moreover, the exhibition has the unsurpassable advantage that visitors, having enjoyed watching all the films and listening to the inhabitants and Siza, steps through the door and out of the cool carcass back into the warm sun of Venice, only to be confronted by the very real architecture of Siza and Rossi, wandering for a while through the very real alleys. And there will no doubt be many opportunities for those surreal moments such as the one we had on encountering two inhabitants of the building whom we had just witnessed in the film, where they had guided Álvaro Siza round their apartment, and for a moment we found ourselves wanting to greet and embrace them like old friends. More an architecture exhibition cannot achieve. Well, possibly it can: As the Portuguese contribution of course opened with celebrations out on the street – where lunch was taken together with all the quarter’s inhabitants. There was masses of goulash, noodles, and wine. Somewhere at one of the long tables among all the people and in the shade of one of the buildings he had designed sat Álvaro Siza, looking very happy. All the more incomprehensible that this important contribution to this year’s exhibition, and it is so incredibly likeable at all levels, did not receive any of the awards. Film section: Siza visiting venice, 2016. Film by Cândida Pinto (director), Rodrigo Lobo (cameraman), Marco Carrasqueira (editor) © SIC TV Portugal.